The Sunrace Rear Derailleur Extended Link is designed to increase the clearance between the rear derailleur mech and the rear sprockets on the cassette. This useful gear gadget is especially useful where a rear mech is found to be too close to the largest sprockets to function correctly, and especially applicable on several modern cassettes with lowered (larger sprocket) bottom gears. 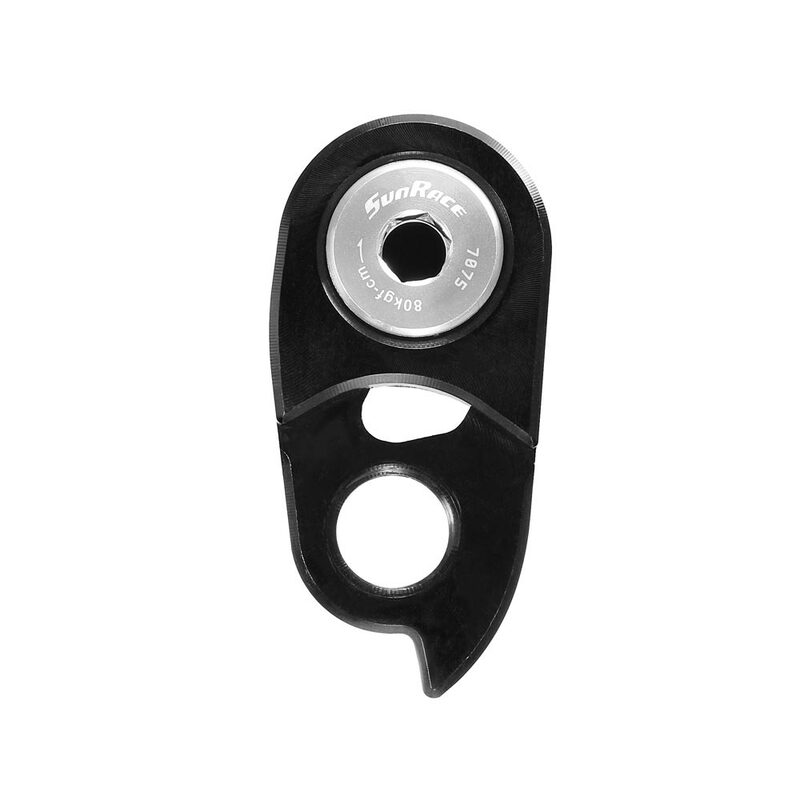 Fits to conventional threaded rear mech hanger fittings on most frames. It will not extend the overall gear difference capacity (or chain wrap) of the rear mech in the complete system of number of teeth difference on the bike (counting both front and rear combined) - as this function is governed by the jockey wheel cage length. However, where single chainrings are employed on a bike in favour of double or triple, the overall gear capacity of the bike's transmission will be reduced - and hence, the ability to handle a larger rear sprockets by the rear mech can be of use. Typically, the Extended Link will allow a rear mech with a maximum sprocket size of say 32T to function with a 36T sprocket - so long as the overall gear capacity (chain wrap) remains within the capacity of the rear mech.